Are you looking for retaining wall system for state highway projects? We build Concrete Retaining Wall Systems for Highway Road Construction. We work hard to build tall gravity walls while minimizing traffic disruptions. 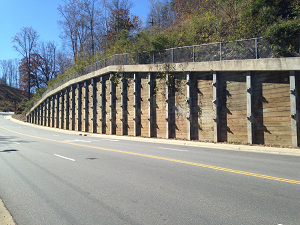 Highway Retaining Walls are durable sound barriers and weather resistance. Owle Construction, LLC has the experience in engineering and constructing commercial retaining walls. We can design any retaining walls to accommodate an assortment of slopes at various grades and elevations. It’s imperative to refresh the hardscaping on your commercial property to protect your company’s legal liability. Retaining walls support highway fills or cuts where there’s not enough room alongside the highway for an unsupported slope. In cities, they keep highway expansions within existing right-of- ways. In the wilderness they minimize the impact of a highway on the environment. Some retaining walls are used to construct bridge abutments and building foundation walls. Some are simply used for attractive facades around buildings and landscaping. Our team of experts will provide you with design services to assist you with your commercial retaining walls or hardscaping needs. 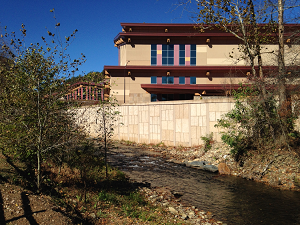 Owle Construction, LLC, as a subcontractor to Cherokee Enterprises on the C201514 NCDOT project, performed the pile, timber retaining wall required for this project. This wall was de-signed by Vaughn & Melton Engineers out of Asheville and located …….